The Jet Airways lenders led by the SBI are keeping all their options on table as Etihad offers to sell 24 per cent stake in the company. The Jet Airways lenders led by the State Bank of India (SBI) are keeping all their options on table as the existing partner Etihad with 24 per cent equity has thrown a spanner in their debt restructuring plans. The Middle East-based airline was supposed to maintain its existing stake despite overall equity expansion. It was committed to bring up to Rs 2,000 crore as part of its share in the restructuring plan. The lenders have already agreed to convert a part of their Rs 8,000-crore debt into equity to take a majority stake in the ailing airline, while also pumping in more funds. Jet Airways promoter Naresh Goyal's stake was planned to go down from 51 per cent to 22 per cent. Goyal, who built the airline in the last 25 years, is also possibly stepping down as the chairman. The new situation with Etihad backing out has compounded the problems of the lenders. 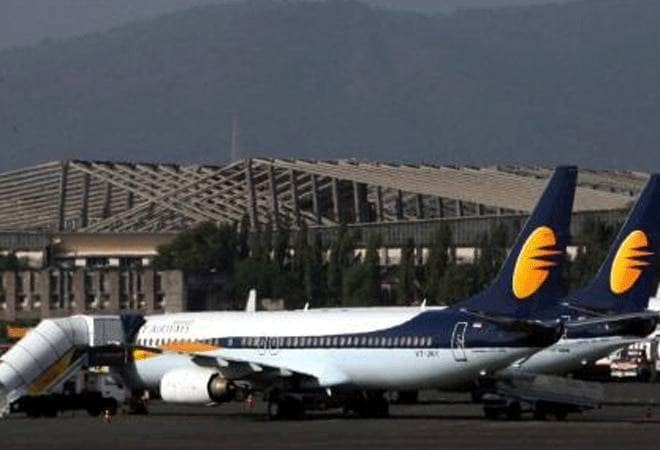 In fact, Jet Airways case was the first big case under 'Project Sashakt' that triggers a restructuring mechanism before a company can be taken to Insolvency and Bankruptcy Code (IBC). The inter-creditors agreement (ICA) for stressed case with exposure of over Rs 500 crore under the 'Project Sashakt' gives wide-ranging powers to lead bank to work out the best restructuring option. But currently, the AMC-AIF (Asset management company - Alternative Investment Fund) structure is not in place, especially for the investors to buy out a stressed company. Sources in the bank say the interim option -- once banks take a majority control - is to hand over the management to turnaround specialists. In fact, in the past, SBI had engaged with Alvarez and Marsal to turn around the stressed companies. The RBI's erstwhile scheme SDR (strategic debt restructuring) was launched with the objective of bringing in new strategic investors for stressed companies. The Reserve Bank of India (RBI) had later scrapped this scheme as IBC was operational. People in the know say yet another option is National Investment and Infrastructure Fund (NIIF), which has also shown interest in the private airline to take a strategic stake of over 20 per cent. Meanwhile, lenders are already moving in to take a board seat at the nine-member board of the airline. This will help lenders monitor their interest more closely. As per the current plan of lenders, the SBI-led consortium of banks will have at least one nominee director to start with. Currently, lenders have no representation in the board. The Jet losses have been mounting in the last one year. In 2017-18, the Jet posted a loss of Rs 767 crore. The losses swelled to Rs 3,207 crore in the first three quarters of 2018-19. The airline, which has a debt of over Rs 8,000 crore, is in urgent need of funds to meet its repayment obligation.